Ah, the myriad joys of a vintage car: the feel of the wheel wriggling in your hands, the sound of the engine as you blip the throttle. 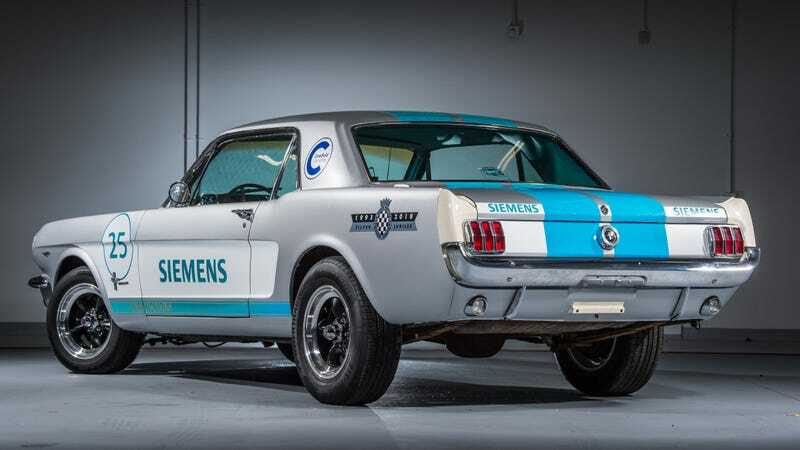 Now Siemens is looking to remove all of that with a self-driving 1965 Ford Mustang that it plans to run up the famous Goodwood Hillclimb this year. The project is actually a partnership between Siemens and Cranfield University, as the Evening Express reports, outfitting the classic with a “full suite of sensors and control algorithms” to make it up the hill with no human input. So this is more of a retrofit of getting an old car to drive itself around a pre-described route than it is making a whole new robot-car. That’s fine. It’s still not easy, I’m sure. RoboRace will be competing up the hill this year, too, so that covers that side of things. And honestly, I don’t even mind that this project is happening. Cut up a ‘65 Mustang all you want. You can probably make an all-new one using reproduction parts, and they were never rare to begin with, nor was rarity ever part of its charm. If anything, this project gives me a little hope that classics may find a way to integrate into a self-driving future. After all, who cares about crash structures when cars don’t crash?